I was prompted to write this (long overdue) article because I’m aware of the scarcity (if not almost complete absence) of decent material analysing the internal arts of China, namely ie. 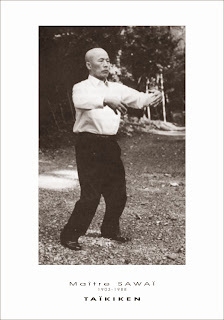 taijiquan (t’ai chi ch’uan), baguazhang (pa kua chang) and xingyiquan (hsing i quan). What analysis exists is invariably couched in esoteric language (qi/chi, jins, meridians, etc.) that is at once inaccessible and unhelpful (except, perhaps, to those knowledgeable in traditional Chinese medicine theory, for whom it might have some contextual significance). Such accounts avoid almost entirely any Western scientific deconstruction of the mechanics of these arts. It’s not small wonder then that the internal arts are virtually ignored by so many pragmatic martial artists today. Such analysis can only serve to feed misimpressions of the internal arts as either delusional or “old people’s dancing”. Yet my own experience in the internal arts over the last 22 years has revealed them to be sophisticated fighting systems. Readers might recall that in my article “Advanced techniques” I ventured to say the internal arts were “advanced”. By this I meant “movement that is harder to learn” or “learning that relies on what has already been learned”. And they are “advanced” within this meaning of the term. In my experience, the internal arts are manifestly harder to learn correctly than “external” arts such as shaolin, karate, taekwondo, etc. Because they rely so heavily on correctness and exactness of technique in generating and applying force to a target, you need to have their movements more or less perfect in order for them to be useful. What this means, in practice, is that if you want to learn to fight quickly, you shouldn’t bother with the internal arts. then internal arts practice might be for you. There are many who share my view that the internal arts are “advanced”. However I’m fairly certain that the majority of these people have a completely different idea of what constitutes “advanced”. A laughable example of “mystical” internal arts. Compare this video to real push hands in the video below. 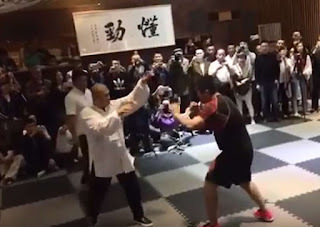 I can’t see that anyone interested in pragmatic civilian defence, law enforcement, military hand-to-hand combat or ring fighting would be remotely interested in the fraudulent farce that comprises “the wondrous world of chi power”. Nor would anyone seeking "gong fu" (the acquisition, through effort and perseverance, of real skill in an art or discipline) want any part of it. I know that if this was my introduction to the internal arts, I would not want a bar of them. Thankfully I did not come to the internal arts by way of such blatant nonsense. My introduction to the martial arts in general was in a “hard knocks” school of karate way back in 1981. My subsequent introduction to the internal arts was in 1990 via the same karate instructor who in turn trained with another “hard knocks” school, in this case that of Hong Yi Xiang in Taipei, Taiwan (a predominantly internal arts school which spawned many top-ranked full-contact san shou fighters in its day).3 In commencing internal arts training, my whole focus was on developing a more sophisticated, practical set of skills to advance my existing skills – not on mystical powers or “old people’s dancing”. Internal arts sensitivity: one of the mainstays of subtle internal arts skill that is hard to explain, yet relies on simple physics and many, many hours of dedicated practice in formal, traditional training platforms like push hands. In short I had some idea of the advanced body mechanics that the internal arts taught, and I wanted to learn them. 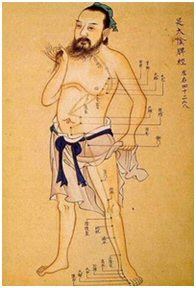 I knew from way back when that those mechanics could be, and often were, couched in terms used in traditional Chinese medicine (qi/chi, meridians etc.). That this has never been necessary in martial arts has only become clearer to me as the years have progressed. So here is my attempt to couch those mechanics in terms of simple scientific terms. I noted in my article “Hitting harder: physics made easy” that martial arts is largely about transferring momentum. Forget the word “power”, which I think is the most overused and misunderstood term in martial arts today. Ultimately it comes down to force applied to your target. And that force is equal to your transferred momentum (impulse) over time (ie. applied force = transferred momentum (impulse) / time). Different martial arts stress slightly different body mechanics to achieve the objective of transferring momentum within in their preferred tactics. In my recent article “Internal arts fact and fallacy: double weighting” I briefly touched on some of the body mechanics that are unique to the internal arts. What these arts stress, above all else, is efficiency and economy in transferring momentum. Put another way, the internal arts are about reducing the gap between the force you expend and the force you apply. In so doing, they aim to permit even a fairly small and weak person “hit hard” because more of his or her body mass is being applied to the blow in an efficient and economic manner. How do they do this? The answer lies largely in a principle I call “preservation of momentum” which forms the foundation of all internal arts methodology. Each of the internal arts prefers a separate, unique method to “preserve momentum” – ie. keep it flowing.4,9 Why? Very simply, the flow of your momentum is what helps you utilise your whole body mass (and not just the mass of your limb or other body part) in effecting both attack and defence. In so doing you maximise the result of the equation p = mv (ie. your applied momentum = mass x velocity). This in turn maximises the result of the equation f = i/t (ie. your applied force = transferred momentum (impulse) / time). How should one ensure that momentum is maintained in those circumstances – or at least, maintained in a way that is going to work for you and not against you? I discuss the concept of "preservation of momentum" in the context of an experimental kata (kenkyugata) fusing external and internal arts methods. weakest – ie. least able to “hit hard”. The most obvious example I can give of this dilemma is where you are at your point of fullest extension with a punch. Imagine for a moment that you’ve thrown a massive cross and you’ve missed. You are now over-committed/extended. To abruptly stop your momentum will simply leave you flat-footed, waiting to be hit. So you need to continue your momentum. To continue your momentum in the conventional/untrained way you need to take a step with your back leg. For example, in the adjacent picture of Frazier and Ali, you'll note Frazier's back leg is off the heel; his momentum is falling forward and he is being forced to take a step forward (ie. his back foot will step up and perhaps overtake his front - called in Japanese "ayumi ashi"). There are those who would say: "So what? What's wrong with just continuing forward with a natural step?" Conversely you will be doing exactly nothing about trying to address what happens next, other than trying to redirect your missed momentum towards wherever your opponent has moved, using a natural step. This can be problematic, as we'll soon see. If you've ever gone to grab a milk carton assuming it to be full, you'll know too well the surprise (as you lift it sky-high!) of finding it to be empty. In fighting that sort of surprise can be deadly. Having your punch miss its target is bad enough. Having to make another step forward simply because your last technique failed is a recipe for yet another (unpleasant) surprise. 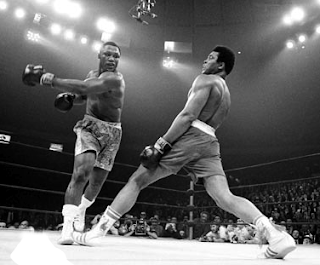 If (as in the above picture of Ali and in the adjacent photo) your opponent has done no more than evade without setting up a counter, you might well continue your forward momentum into a step and another punch (aiming for wherever your opponent has moved). But if your opponent is well set-up as a consequence of evading your first blow, then you'll simply be walking into his or her counter. Not only are you "walking blind" by taking an unplanned natural step forward, you also face the twin evil of "dead time". What do I mean by this? With every ayumi ashi / natural step (ie. a step where your back foot pushes off, draws level with, then eventually passes your front foot), there will be a "dead" period, where you fail to exert any real forward momentum with your body. This "dead time" occurs from the time you lift your back heel until your back foot draws level with your front. Only once your back foot passes your front (ie. the mid-line of your body) does your bodyweight start to fall forward into your opponent. Until then you are "positioning yourself". Now contrast the natural step with the "drop step" - ie. a lunge. This is where you simply lift the extend the front leg and drag the back leg up. You'll notice that the moment you lift your front leg, your bodyweight is falling forward; your momentum is being applied immediately and there is no "dead time". 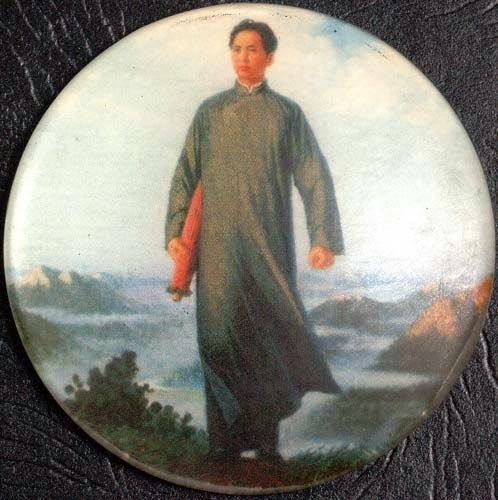 The "drop step" is something I'll discuss in greater detail later, especially in Part 4 of this article which will relate to xingyiquan. Suffice it to say at this point that the natural step is not ideal for martial purposes. Generally the internal arts will avoid natural stepping unless you are already in motion (eg. after starting with a "drop step") and fully in control. Examples where you might use natural stepping include chasing or fleeing - ie. covering larger ground. However in a melee exchange, a step executed simply because you have reached maximum extension and have "run out of options" means that you are being forced to go through some "dead time". It is important to remember in all this is that pressing an attack (keeping your momentum going towards your attacker) is fine, even if it involves natural stepping. Every martial art teaches you to press your attack when you can and the internal arts are no exception. Once you are "on a roll" there is no point "backing off" (unless moral and legal restraints require it). But from my preceding discussion it should be clear that not every situation will suit "pressing an attack". Clearly, if your opponent has evaded/deflected your attacks in a way that sets them up for an effective counter, you must address this intelligently and decisively. As I've discussed previously, the very essence of martial arts mastery lies not in forever refining your ability to land blows, but rather your ability to deal with the situation where your blows fail. 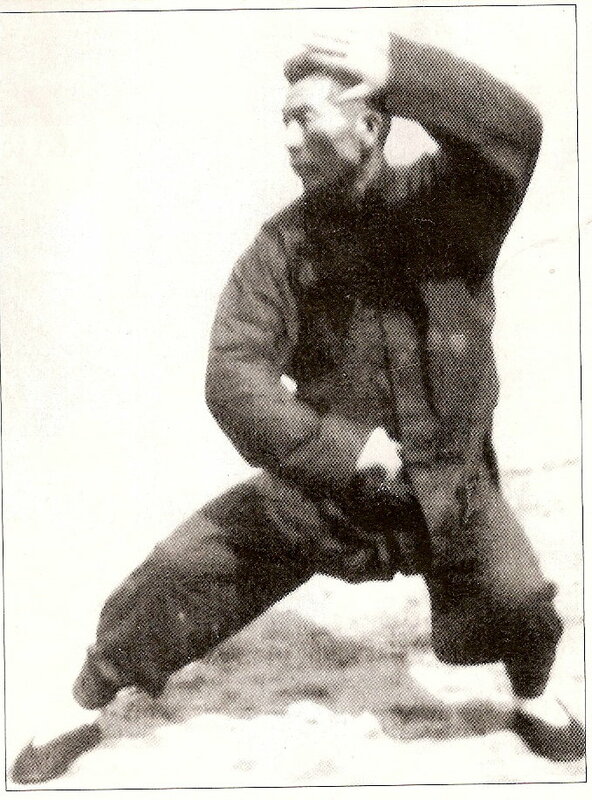 The former is a necessary ("external") foundation for good fighting skill. The latter is the apex of such skill. A good tennis player knows how to hit a solid baseline topspin. But an excellent tennis player knows how to return one - to recover from a dangerous position and set up his or her own. Martial arts is no different. Being a "good attacker" is only sufficient if you are fighting objects that don't "fight back" - see my article “Boards don’t hit back” Part 1 and Part 2. The internal arts recognise this. As a consequence they devote substantial time to inculcating situational reflexes for ensuring that your momentum continues to work to your advantage even as your techniques fail (which they inevitably will at some point against a skilled opponent). 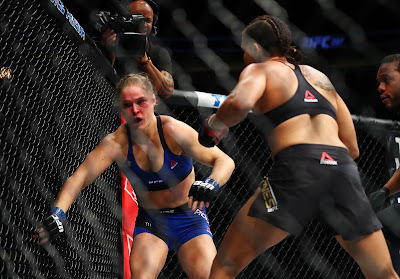 But sometimes fighters will take a natural step after they miss a punch while over-committing. In that case, the step is usually necessary to avoid overbalancing and falling forward. If they are forced to take such a step, and if their opponent has set him/herself up well for a counter in the meantime, the results can be disastrous. Consider the video footage below of an exchange between Lyoto Machida (who I have chosen for his traditional - at times almost "internal" - approach) and Thiago Silva. 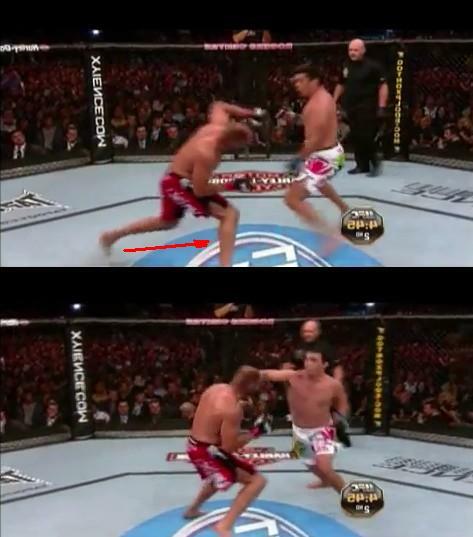 You'll notice that at the 0:11 mark Silva throws a left cross that is evaded by Machida. Machida has set up a counter with his own right which is chambered high next to his head. While Silva knows he has missed, you'll see from the adjacent images that he continues his forward momentum. In fact his back leg is still stepping up even as Machida lands his second counter. 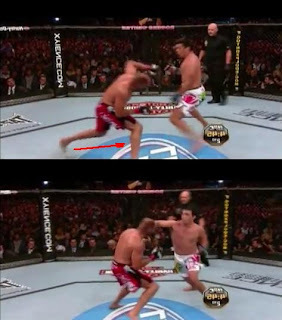 You can tell Silva's rear leg movement during the step up by reference to the conveniently located line on the canvas floor. The whole of the time during which that step-up is being taken is "dead time". And in the face of a strong counter like Machida's, this "dead time" is something no one can afford. Some of Lyoto Machida's fight highlights. I've included this footage because there are some good examples of over-commitment and the resulting consequences. Others who over-commit and miss try to stop and/or back-pedal, meaning that they get caught flat-footed. This is not nearly as bad as walking into a counter, but it's still not a good tactic. Evans doesn't make the mistake of continuing his momentum. 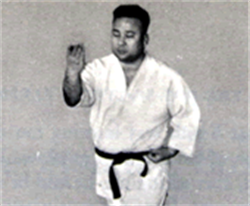 Rather he attempts to retreat, covering against Machida's most powerful, predictable counter attack - a right cross (chambered, once again, high on Machida's right) - as he does so. But Machida sees this and counters not with his chambered right, but with his left, avoiding Evans' raised guard on the left. Machida then follows with a right, and in fact a couple more punches, many of which land. What distinguishes Machida (and makes some aspects of his fighting "internal-like") is that his tactics focus on sophisticated, conservative civilian defence-style strategies (for which has been criticized for not providing "satisfying" fights). 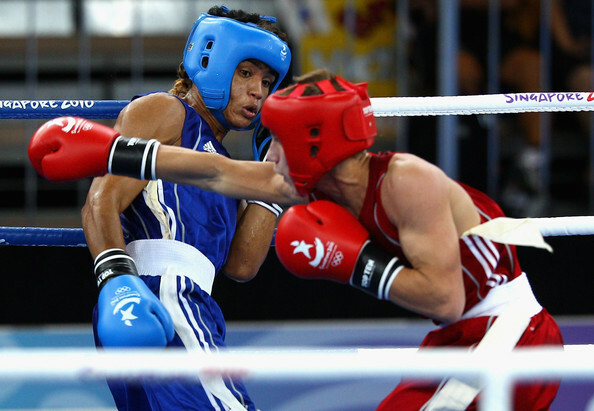 He is regarded as a "counter-puncher". Machida's fighting style (which seems to "confound" many) is bascially this: his defence sets him up, while his attack includes situational reflexes for dealing with withdrawal should the attack fail. Avoiding over-commitment is necessarily part of this style. Does it work all the time? No. But he shows that (contrary to what many people have argued) it can and does work - even if it requires some very advanced timing and even if it was never intended for the ring environment (but rather, for civilian defence where the goals are fundamentally different). This is a laudable sentiment. But it can only get you so far before age conspires to start limiting your ability. You can’t keep improving simple speed and strength forever. Moreover, there will always be someone bigger, stronger, faster and younger than you. While physical conditioning is vital to any fighter’s preparation, it cannot help level the playing field against an opponent who has a much greater physical advantage (particularly if that opponent is also into physical conditioning!). Put simply, size matters. Instead, I think it is self-evident that the only way a smaller, weaker person can hope to address this disadvantage is through the acquisition of more advanced timing and skill (while simultaneously doing what he or she can to improve physical strength and conditioning). Again, sparring is vital to a martial artists training. But, as I’ve argued previously, the “trial and error” method is hardly scientific. It tests your skill rather than develops it. Rather you need to start looking at intelligent strategies for converting your “failed” movement into something productive. As Daoist and neo-Confucian-based9 disciplines, the internal arts are, by contrast aimed squarely at understanding and harnessing the process of change (ie. how one particular situation morphs or converts into another). Accordingly, the principles of body mechanics underpinning the internal arts arise from a deeper understanding of this process of change, both philosophically and physically. And it is to those principles that I shall now turn. I discuss these methods in the video below. A video in which I discuss how the various internal arts “preserve” the flow of your momentum, ensuring that you use it productively and bring your whole body into play in each movement. Each of the internal arts has its particular preference for momentum preservation, although to a greater or lesser extent each also uses the methods of the others. I'll examine each of them in turn in succeeding Parts to this article. These Parts will go into specific detail about exactly how the various internal arts go about inculcating appropriate situational reflexes for avoiding over-commitment while ensuring that your momentum continues to work to your advantage - even as and when your techniques are evaded/thwarted. It is these pragmatic specifics that are all-too-often obscured by layers of jargon and supernatural mystique. My goal in the succeeding Parts to this article will be to strip away that mystique and explain the various related and overlapping internal arts training and technical methodologies (at least, as far I understand them!) in a manner that is as clear, thorough and scientific as I can manage. 1. When someone uses the plural “energies” you can usually tell straight away that they know absolutely nothing about what energy actually is. 2. Nothing is more amusing to me than where the overacting (whether conscious or not) in this video becomes obvious. My favourite part is where the “sifu” pushes a chain of people. At about 1:43 you’ll notice the last person flings himself away prematurely while the two people in the chain before him are still in place! Wondrous chi power indeed! It seems to have passed right through 2 people to get to him! 3. My instructor, Bob Davies, studied under Hong Yi Xiang. Hong was the founder of the Tang Shou Dao fighting stable. This stable produced fighters like Luo De Xiu. Hong was a student of Chen Pan Ling – my present teacher’s father. 4. See also my article “The importance of flow”. 5. An effective, intelligent martial arts programme cannot focus simply on hitting things - see my article “Boards don’t hit back” Part 1 and Part 2. 6. People might argue with my assertion that you face a "standing start" when you've reached your point of maximum extension. They might say that this isn't true if you're in the process of stepping. However this ignores the issue of "dead time" in natural stepping - note my comments under the relevant heading above. 7. It’s a bit like bouncing on a trampoline: at the highest point and lowest point your body briefly comes to a stop. When you are “stopped” you have to accelerate back to full speed in order to generate any momentum (and hence any force) behind a blow. And, from a defence perspective, you also become a “sitting duck” target; your opponent might already moving at speed, while you are stationary. This means you have to “find time” to accelerate out of the way. Couture is caught flat-footed at around 0.59. Being a highly experienced, master MMA fighter, Couture can tell he is going to miss mid-punch, so he starts to withdraw it. However his body is so committed he still gets caught flat-footed. At 1:10 or so; Couture is once more clearly aware that his punch is going to miss, so he pulls it. Again, his bigger problem is that while he's able to stop his punch, his body is over-committed. In this instance, as with Silva in the example I gave earlier, he is so over-committed that his back leg continues to step up (to avoid an overbalance). Not only does this incur considerable "dead time", it directly leads to him walking into Machida's punch (and a few more that follow). 9. See my article“The internal arts and Daoism”. Great post, as always. And touching on a favourite subject of mine, as you are doubtlessly aware from previous comments. The use of physics to explain techniques was a source of confusion and frustration for me, a self-confessed non-physist. For instance, in Fighting Science: The Laws of Physics for Martial Artists, Sprauge refers to 'shattering impact' which has a lot of kinetic energy and 'pushing impact' that has a lot of momentum. She suggests you focus on one or the other depending on what type of impact you want. KE=1/2MV^2 and M=MV. How do you focus on one and not the other given they contain the same variables, albeit in different proportions? Long story short, I decided to look at the problem from the other side. What causes an injury? To my delight, I found an entire science dedicated to the study of injuries. It defines injury in terms of the absorption of energy in excess of the bodily tissues capacity to absorb it, and the absence of vital elements, such as oxygen or heat. Definitive explanation using physics concepts. The focus is on KE. Injury science breaks down an injury event into three phases. KE of course only refers to the 'pre-impact phase'. The concept of force is then used to understand the 'impact phase'. I think you'll be interested in the body of knoweldge available, albeit not referenced within the martial arts 'yet', that has been developed by this relatively new science. PS: Whenever anyone is referring to kinetic energy to explain/understand striking techniques, they get all excited about the exponential nature of velocity. However, numerous studies, unfortunately hidden away in academic journals, have demonstrated that there is a negligible difference in speed between relative novices and experienced practitioners. The significant different in force between the two is attributable to the latter being able to coordinate more mass to the strike. This has been consistent with studies of boxing, karate, taekwondo, and kung fu practitoners. On its own, momentum generated is of no consequence if it is not transferred. And momentum transferred is not productive of deformative force unless it is transferred quickly. Only when it is transferred slowly does momentum effect a "pushing impact" rather than a "shattering impact". I'm afraid I don't see how the equations by Sprauge are of any real assitance to martial artists wanting to know how to "hit harder". Let me put it this way: the exact same energy can be used to push or shatter. If you use X kilojoules of energy, you can use it either to shatter a brick or to push it a certain distance. The more energy it takes to shatter it, the further you would push it to use up the same energy. So, taking Sprauge's example, energy is just that which fuels/achieves our result. It doesn't tell us how the result is achieved. It tells us how much potential energy is required before we attempt it and how much kinetic energy was expended after we attempt it. But it doesn't help us determine what we need to do to achieve the result, in my humble observation. At this point I'll mention that there is no "new science". This is all standard Newtonian physics. What is "new" is that folks haven't really considered it in light of martial arts or, even more generally, sports. Those who have, haven't come up with anything that I have considered useful in terms of my own practice. So, we know that we can achieve deformation of the target through the use of force. 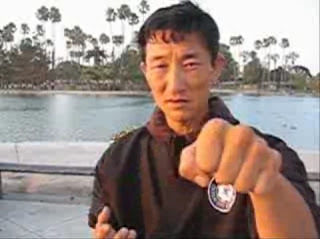 The problem for most martial artists is that they focus on F = mass x acceleration as an equation, then lose all interest because it doesn't make much intuitive sense; it doesn't factor in the variables of time and velocity, instead substituting "acceleration" (which is not meaningful to a martial artist trying to improve his/her hitting ability). Then there is the problem that martial artists forget to ask whether they are talking about force generated by the practitioner or the force applied to the target (the 2 are very different things). Force = Impulse/Time (impulse being the momentum [mass x velocity] transferred into your target). I have been aware of the E = 1/2mv^2 equation since high school physics in years 11 and 12. Contrasting that equation with p = mv is, in my view, misconceived. Quite simply, they measure different things! As I've said, measuring kinetic energy is not going to differentiate between a push and a shattering strike. The suggestion that it will is, in my view, incorrect (albeit that I'm speaking from first principles and 30 something years of memory, not as a physicist!). (b) how far you've pushed it. It is simply not a meaningful equation. While I haven't read Sprauge's paper, I've read many similar analyses over the years, and none have been really helpful in getting to the nub of the issue. It is this that prompted me (in consultation with my brother, who has the same experience as I in martial arts, but who has degrees in both mechanical engineering and sports science) to consider this matter more thoroughly. "The significant different in force between the two is attributable to the latter being able to coordinate more mass to the strike." (b)the length of time during which the mass is in contact with the target. The total force might be the same, but a longer contact time = more pushing force. A shorter contact time = more deformative force. Btw - the "exponential nature of velocity" in the kinetic energy equation is, to me, about as signficant as the variable acceleration is to the formula f = ma. In respect of the latter, I've noticed that many people get carried away in thinking "I must accelerate my mass" (thinking it is like "exponential velocity"). But this is all a red herring caused by laypersons trying to apply the wrong equation for the particular analysis. In the case of the kinetic energy equation, the "squared" element of velocity is just part of the formula (just as E = mc^2 doesn't require you to ponder whether something can travel at the speed of light squared - it's just a very large constant that is required for the equation to work!). It appears there might be a misunderstanding of sorts. (a) I admire your efforts in understanding and explaining martial arts techniques in scientific terms. I've been working on the same thing full-time for a number of years. (b) In no way an I criticising your efforts. Far from it. I'm attempting to introduce you to a science that actually studies what we study, albeit from a slightly different perspective. Check out William Haddon, the 'father' of injury science. Despite the suggestion, the study of injury is new; the science only really emerged since the 1960s. And its fascinating, seriously. We have so much to learn from it. 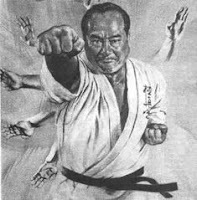 Also, what I've discovered, there is so much study that has been done on martial arts techniques hidden away in academic journals; it's a shame. That knowledge can actually illuminate our understanding and teachnings, but, it's hidden away. Only read by academics, if even them. PS: I'm not agreeing with Sprague. I'm acutally suggesting that her, and other texts, who refer to physic concepts often don't really provide any insights for the practitoner. As you suggest. You are absolutely right that an analysis of the impact determines the injury or change in motion. But we need to look at the pre-impact and impact temporal time frames when anlysing the effect of an impact. That is what the injury science analysis of injury is all about. Kanazawza actually does the same thing in Dynamic Karate when explaining karate stances. Clarifying, there is always new science ('there's always a first time for everything'). But in this instance, it's a matter of existing science being used to study and understand a different phenomenon - in this case, injury. Believe me, you'll love it. You are right, in my limited understanding. Momentum and kinetic energy do measure different things. That is what I could not reconcile. But, the science devoted to studying injury focused on energy, in our case, kinetic energy. KE causes injury. That definition then helps us focus on the elements and issues associated with generating, or not, or avoiding, injuries. I hope you see I'm not critisicing - more I'm trying to share an enlightening experience that has thus far eluded the martial arts. I'm fully supportive of your efforts. I'm simply trying to share what I've learned by studying these issues full time for a number of years. And there is some amazing knowledge that is available, albeit never seen the light of day outside academic journals, or never been applied to martial arts. Watching that video on the Wondrous World of Chi Power was so cringeworthy I nearly couldn't watch it. I really do want to give him the benefit of the doubt because the effect of techniques are not always visually obvious, but unless he (and that 70+ year old) can demonstrate it on me, I cannot help but think his students are all actors. It's always interesting seeing so many things I take for granted broken down scientifically. Part of me says "I knew all that already", but I think that's your skill as a teacher. I feel that I already know much (but certainly not all) of what you're explaining, but you're making me more aware of how/why it works the way it does, in easy to understand language using a strong foundation of science and learned experience. For many people, the principles/techniques you're breaking down are so natural they've never considered why they work (or indeed, why they don't). I do have a question for you though. In your video of dealing with over-commitment/preserving momentum, at 9:16 you say "It's almost a case of bang, bang, but it isn't." I don't really understand what it's not- something to do with the stepping, perhaps? Could you elucidate this for me please? Hi Xin and thanks for your kind words. It's almost as if you lunge into zenkutsu dachi / gongbu, then shuffle up your back leg, changing into zhanbu/santi. I say "almost" because that would be a close analogy that is still incorrect; in fact, you are never actually in zenkutsu dachi / gongbu in the xingyiquan lunge - your momentum moves forward without you ever committing to that extent. 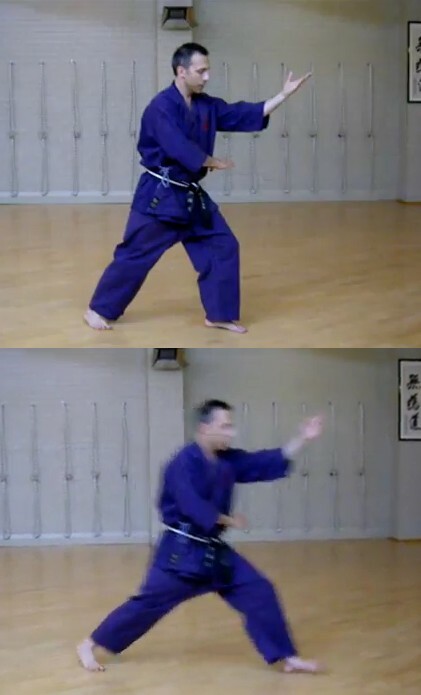 If you isolate frames of xingyi's beng quan (as I demonstrate) you'll see that the stance (examined from the hip positioning and bend of the front knee) seems slightly back-weighted even as you're flying forward! I'll explain the mechanics in detail in Part 4 dealing with xingyi (it's not easy to explain in a short space and without diagrams!). Due to my cultural background and legal training I am aware that I can sound formal and even terse in my responses when in fact I'm just debating or clarifying my position - and in good humour! I have read papers purchased from the Institute of Sport website so I'm aware of academic literature and how it isn’t just a Google search away for us laypersons. The fact that I have constructed my own analyses of the physics of martial arts (with the help of my brother) shows that I have not been satisfied with what I've found. I think it fair to say that kinetic energy can cause injury. However it can also cause a mere push. Not having read Sprauge's and Haddon's etc. papers I have only your precis to go on, but it seems to me that the physics in issue are elementary; there really is nothing new in Newtonian physics. Accordingly my reasoning stands vis a vis the usefulness of analysis using equations for energy! Nonetheless I shall look up William Haddon when I get the chance. I'm sure that any correct analysis of "injury science" is consistent with what I'm saying. And there are clearly matters I haven't dealt with (area of the striking surface, pressure etc. being examples). So I suspect there is a lot to know. I'm just a little skeptical of the "industry" that seems to have arisen out of "the physics of martial arts"; the books and papers I've read on the subject (and there are a few popular titles on Amazon) have done no more than rehash the same general equations (such as ones about kinetic energy) without any helpful, pragmatic advice. Very much enjoyed reading this first part of what promises to be a good read. 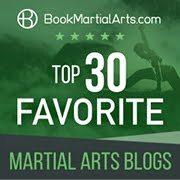 I've learned some tai chi, but I haven't really understood most of the application of it, nor have I managed to incorporate any of it in sparring, so this looks like a really helpful read. Keep up the good work, and thanks! Thanks - I'll try not to disappoint with the next installments! I won't be giving you many actual applications, but I will do is try to explain the principles behind the movement. Hopefully you will be able to discern the meaning of movements more readily as a result. I certainly rely on the principles to understand the applications of arts like taiji. I'm not sure if you've seen this, but I think it's also relevant. Thanks Elias. Rory's comment about internal being "power conservation" is fairly close to the mark. You are "conserving" your resources by using your body structure in a unified, efficient manner. My objective here is to get down to the nitty gritty of how this is actually done. The next installments will set this out in detail! Dan, have you ever worked with Dr. Yang of YMAA?
" It defines injury in terms of the absorption of energy in excess of the bodily tissues capacity to absorb it"
That's about the only thing you need from that field. I heard of this issue from Tim Larkin's TFT body of knowledge. Specifically, the human body can absorb a lot of non-specific trauma, but if you isolate the force down to a specific area, you can overcome that organ or tissue's absorption level. Once bypassed, any energy that is still being input into the target, turns into tissue damage and injury. Acceleration and energy absorption levels matter in this fashion. An external martial artist often asks how to get more oomphf out of the strike. But you can easily ask the opposite question, how to use the energy you do have more efficiently to get the same or better results. Injury science then studies what it takes to get the result, and all you have to do is backwards engineer it and say "if this is what it takes to produce an injury, what kind of attack can I come up with that achieves this". Acceleration is also very intuitive, if you understand how gravity and mass works on a everyday level. A person that punches straight up, starts from zero and ends at zero. But the acceleration is very different, because gravity is constantly applying 9.8 m/s/s of difference, negative, downwards. And if you punch straight down, you start at zero and finish at zero, but the acceleration is now 9.8 m/s/s greater. 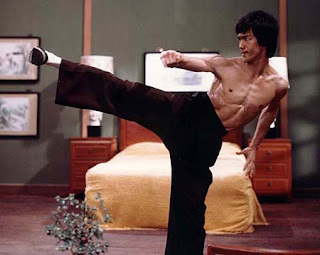 This is why in martial arts, striking down is much more easy than striking up, when using just muscles. This acceleration is what makes the difference in transfering energy. The human muscles can only produce so much velocity, before it meets resistance and is rendered zero. So what really matters is how long they can produce this velocity, or rather the rate of change in velocity: acceleration. A very high positive acceleration is good, it means you can go from zero to fast, really fast, and keep it that way. A negative acceleration means you have hit something and it's now slowing you down. That's bad. Mostly bad. Body momentum is powered by gravity. Thus body momentum has no applicable force (absent inertial) in zero gravity. That's also part of acceleration. So it's key to figure out when acceleration is high, when acceleration is zero, and when acceleration is negative. That graph tells us what's really going on with people's punches and strikes. Whereas somebody with a really high velocity, it's hard to say whether that velocity was sustained or not. Maybe it vanished when it hit the target and just caused external bruising. It never survived for long enough to impact the internal organs. It got absorbed. Acceleration will tell you whether it really got absorbed or not. P.S. I also find it interesting that Dan is self aware of how he sounds in writing. Because that's exactly the feeling I get, that there is a rigidity or tension in his writing style because of how it is composed when debating or arguing an issue in real time (real time). Most people who are self aware of this, can consciously change their writing style, unless they have been doing it for so long that it's become second nature. It has to do with textualism or rather the study of texts. People's texts. It would make sense that lawyers, known for arguing a point 9 ways to sunday *from both sides*, has such issues. No Ymar, I haven't worked with Dr Yang, although I've been in contact with his publishing company recently in relation to my book on the jo. 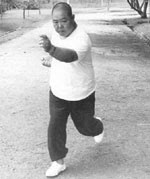 For people who want a full theoretical and principles workout in Taiji Chuan, look up Chen Zhonghua's Practical Method. Internal arts can't really be learned without a solid understanding of theory. External martial arts is like engineering. Just do it, don't need a fancy Ph.D. I know people who have disassembled electrical circuits and radios and put them back together without ever attending engineering school. They just experiment. Internal arts is like abstract mathematical equations combined with a Master's Degree, going for a Ph.D. You're not going to get there with trial and error. Number 8 of Dan's example is very enlightening. Most people cannot motion capture MMA fights to demonstrate such things. 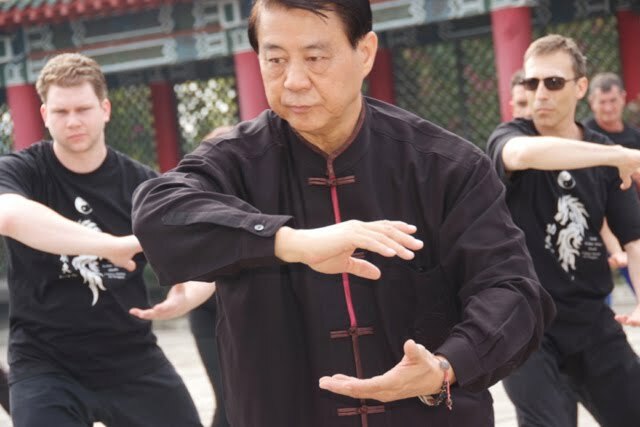 But it does show that external martial artists may have speed and skills aplenty, but not even they can violate the principles of movement and truth which Chinese gong fu discovered thousands of years ago. Which is why contrary to popular belief, "testing" things in UFC and MMA isn't really a determinator of anything. Which is why Dan's results using this can reach so many, because people think that if it doesn't work in the UFC< it won't work anywhere else. A short sighted view, but one that can be easily turned on its head. Reading the foot notes reminds me of something. People might argue with my assertion that you face a "standing start" when you've reached your point of maximum extension. They might say that this isn't true if you're in the process of stepping. However this ignores the issue of "dead time" in natural stepping - note my comments under the relevant heading above. Some of us were doing a simple kyokushin punching drill for beginners, where two people stand just out of range of hand attacks, and one punches to the face and the other defends/evades using torso/head movement. Then switch up the roles. One guy had some TKD background and competed and sparred regularly, before. He had the habit of trying to read my strikes using his visual acuity and rely on his reflexes. He wasn't 40 yet, so his reflexes were pretty good. However, after a few times defending against his hand strikes and attacking with my own, I noticed this and began to use it. I would surge tension to my shoulders when I realized he was reacting off of this, because he couldn't visually see the jab itself from my forearms down. He would move his block into place to intercept my jab based upon the timing of my shoulder tension. 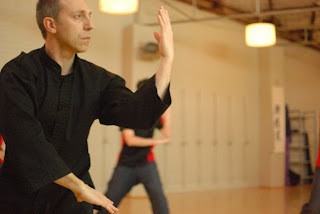 I had to tense my shoulder more than normal because I was punching air and could not do that at near full speed and momentum without an energy sink, or I'll damage a joint or muscle (They were still seated as is the custom in Chinese arts). So I made a virtue of that vice. I faked a shoulder tension, he reacted, but he reacted too soon and by the time he was already moving his block, my minor delay allowed my jab to strike through his outside-in block. That might be a good example of momentum and commitment or inertial. Things in motion tend to stay in motion, and making corrections takes time. Time that a straight attack usually does not give you. After the switch, he tried to do some fakes as well. This made me tense my hand defenses but since I don't use reflexes to time the defense, I didn't move from protecting my center line. He kept doing this until I eventually just relaxed all the muscles and waited for him to decide to shoot or get out of the kitchen. Some people like to watch the hand. Basically about as good as watching the tip or end of a sword/staff. I try to tell them not to do this, but unsure how much gets through when so many people take external arts such as kyokushin/tkd, and they spent their entire lives punching with the shoulder out of the socket and using reflexes to time defenses. Most of the time I concentrate on the specific way aikibujutsu demands that a technique be done. In this specific drill, I could relax and watch my training partner instead, since everything was mostly automatic for me. It's amazing what can be seen and learned just from observing another fighter at close range. Very different from watching from the side. I do wish he wasn't going easy on me. These guys could have punched a lot faster if they were more confident of their control, or less worried about hitting me. So what do you think Dan, was that an example of your "dead time"? Ymar, you seem to be talking about the difference between real and false cues. This is a fascinating subject in its own right but I don't think it has any direct bearing on my point about "dead time in natural stepping" (ie. the time ot takes to transfer weight from one leg to another as you step - time within which you are not exerting force on your opponent but merely setting yourself up to do so). The way I see it, when my training partner committed to moving his arm to block, in a sort of wind shield wiper moment, his arm now had inertial, same as if he had stepped forward and his body weight was moving in one direction. It takes time to stop on a dime, then redirect the movement. The moment his arm or forearm crossed the center line and was committed, was when my jab went through the center line target. To make contact with my hand and deflect it by stopping on a dime and then using a new movement takes too long. He is forced to use continuing momentum and create a circle or a curve, such as twisting silk movements. He didn't know this movement so he didn't use it, but I think it would have worked in that context. Let's say someone was blocking like in cloud hands. Left arm, palm facing head, moving from left to right. To move in the opposite direction, the person shouldn't stop the arm, and then move the elbow or forearm to meet a strike they missed blocking. Continue the movement from left to right, extend the hand, twist the forearm so the palm faces outwards, and now you are going from right to left. With some hip shifting and center line adjustment, a strike can still be deflected at around head/neck level. Reversing your momentum will always take time, and this is "dead" in the sense that you can't use it. However this isn't what I meant by the expression. In your example your partner could have utilized continuing momentum had he known it. By contrast, the "dead time" to which I'm referring is when you have put yourself in a position where continuing momentum becomes impossible. I see. So it's like an irreversible drop through a black hole. Thanks for the clarification. 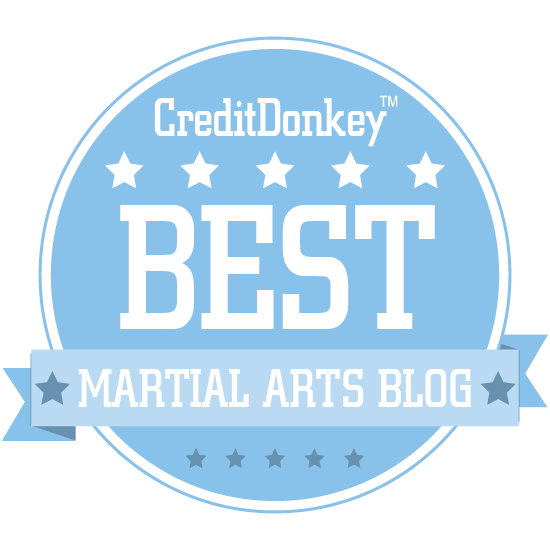 Thinking about martial arts from an analysis stand point has always helped me. At the time, I knew what was the direct cause of the malfunction but didn't have time to prepare an explanation of what conceptually happened. Even if I knew that an application of cloud hands would have helped him, I couldn't have explained why it would have. By preloading these explanations and concepts, I can front load processing when training and not spend as much time thinking. More time doing and training, which improves learning rates since training time is sparse. A lot of the reasons why I think some of the people I've seen make slow progress in aikibujutsu is that they spend a lot of their training time figuring stuff out conceptually. They are thus not given as much time to integrate physical senses. It's like the kid that pays attention in class but doesn't do his homework in math. Unless he's a tensei or genius, he's not going to make Bs on his tests, even when trying his best. The more complicated it becomes, the less just listening in class helps. Got to do the ground work first. Unfortunately, I don't believe a lot of martial arts instructors believe in "homework". Hello Dan, just discovered your blog, some nice, valid points in accessible terms, makes a change from many internal arts blogs. when you guys have finished the interesting debates around terminology and applicable sciences, it would be nice if you consider writing about the different ways one can express energy in the internal arts, I don't think it is quite as simple as push or shatter, I am sure you will agree that at least some forms of discharge (Fa Jing) include what might best be described as wave forms of energy, whilst others include pulses of energy. I am no physicist, so perhaps you will consider these descriptions errant? Well, I would take that subject from a standing start with this exercise. Until a person understands that, by doing it and testing it out and improving in it, they will lack certain tools to perceive energy. Of course there's external force projections such as gathering momentum and using kimei, or bagua water gathering and tossing. But since the question is primarily about internal power, an internal exercise would fit better.